I’ve said this before – vampires are delicious. I may be paraphrasing. Now it’s no surprise that I would want to read this. It might just be my love for Gary Oldman, or my curiousity with all that good supernaturally stuff that brought me here. Both, probably. Since I saw the movie when I was much younger, I didn’t realize it was based off of a book. 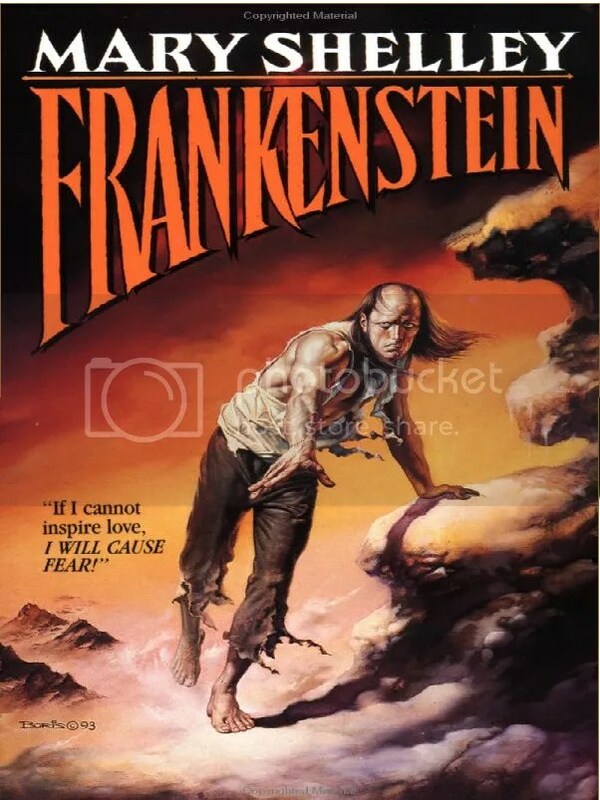 Though it’s actually one of my favourite movies (no matter how not great it was) so I’m going to make an exception and give it a read at some point. Dracula is supposed to be one of the original bloodsuckers…or as far as I know, at least one of them. I would like to see where Bram takes his imagination with this. I’m not sure if it was the same in the novel or something they changed in the film, but I liked the background that Dracula was given. I think it fit well with the story line. In the book, I just have to wonder if he’s just a lonely vampire wanting what everyone else has? Aww. Sad. Anybody have that problem with books and their movie selves? Halloween is just a few days away so I thought it’d be nice to list books that could/would/does get us all in the mood for this creepy holiday (and to be honest, my least favourite holiday from the bunch– I am the resident scaredy cat here…). * Note, I won’t be reviewing these books. Just naming some that I think are fun for the season. 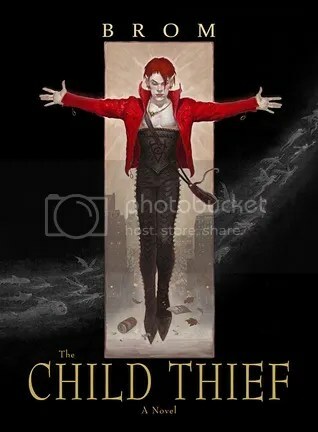 The Child Thief by BROM (I do have a review of this one from a while back). This book makes the list because it’s a dark twist on a very mischievous character Peter Pan. I think that fits well enough with the season. Think of it as a nice blend of trick-or-treat and horror movies rolled into your favourite candy surprise. It’s cute, fun, and prepares kids for Halloween! What’s not to like? 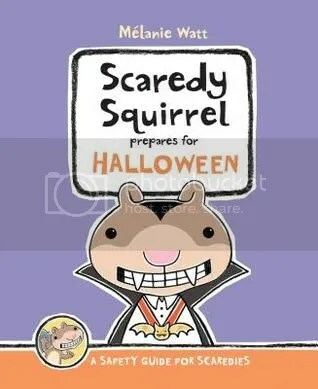 I like this scaredy squirrel series because, as a scaredy… well I could have related very well to these books as a child. This one also pretty much speaks for itself. I mean what’s not Halloween mood-ish about it? 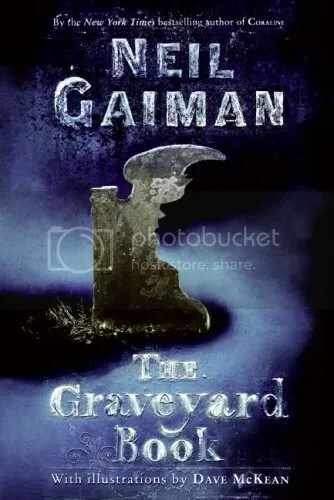 A boy lives in a graveyard and it raised by ghosts and stuff! If that doesn’t sound like a perfect spooky season read, I don’t know how to help you. 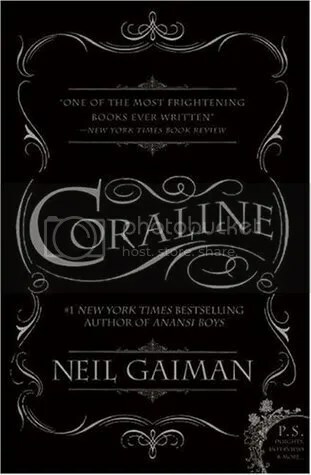 Another Neil Gaiman book, Coraline. I’ll admit, I haven’t actually read the book… but the movie was pretty good and definitely something I think fits the Halloween criteria! Am I right or am I right?? Plus, how can Neil Gaiman NOT get on a list twice (look at Michelle’s list the other week!)? I think the title is enough of an explanation, no? What are your favourite Halloween Reads or Recommendations? You probably noticed I didn’t suggest any horror stuff… well I stay true to my claim, I’m a scaredy cat… I don’t read horror. I barely watch horror movies haha. If the title confused you, I’m sorry! 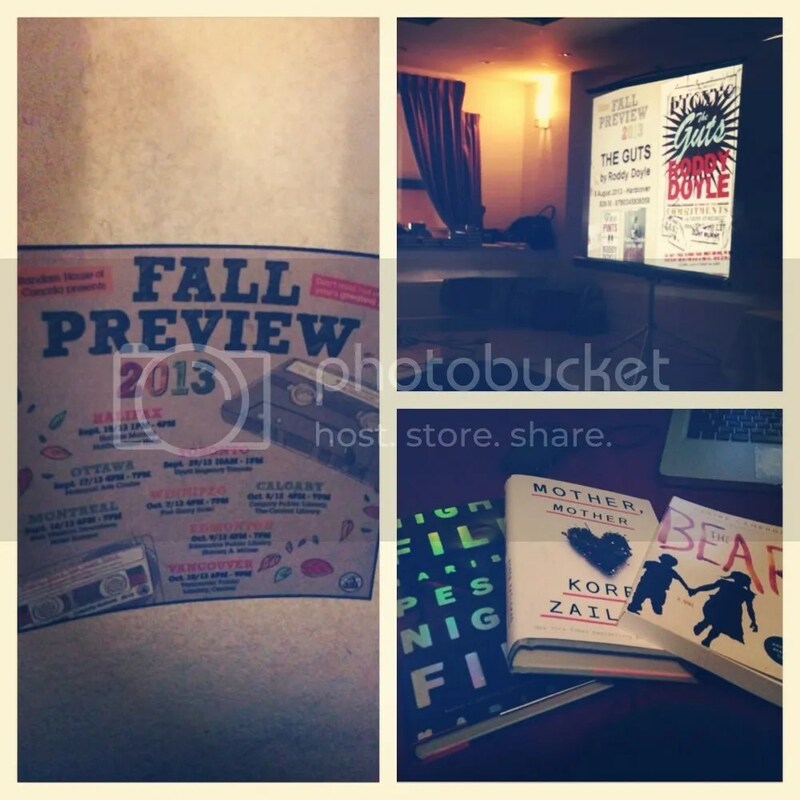 Sarah and I just got back from the Random House of Canada Fall Preview 2013 and all I have to say is: I AM EXCITED. I haven’t been this excited for books in a long time. Got a few new reads (I started reading Mother, Mother by Koren Zailckas on the ride home and I’m hooked! This is probably be my next book review~) and I can’t wait to talk about them! This came along because I’m currently reading Samantha Shannon’s “The Bone Season” and some of you may know that she’s being compared to/called “the new J K Rowling”. But as I’m reading through this, that isn’t the case. The only thing right now that makes them similar is their publishing company and the fact that Shannon is set for a Seven book series. Other than that, Shannon’s books have nothing to do with Harry Potter or J K Rowling. It’s a great way to get hype for a book, but as I’m reading it all I’m thinking about is what it’s being compared too. I have a love hate relationship with these hype things. I love it because if I’m looking for a specific style or genre, going through lists that are “recommended because you read [insert title here]” or “if you liked [series name here], you’ll love this” saves me a lot of new book hunting time. I dislike it because I tend to have high expectations for the book after. Then… 60 percent of the time, it just doesn’t compare. Don’t get me wrong though, because the books I pick up are still a great/good read! But… you just can’t compare two or more different authors/books series against each other. Everything you read or watch or listen to should stand on it’s own and not be compared to something it has nothing to do with. Am I rambling here/not making any sense? Do you get caught up on the own comparing thing? In Depression-era Key West, Mariella Bennet, the daughter of an American fisherman and a Cuban woman, knows hunger. 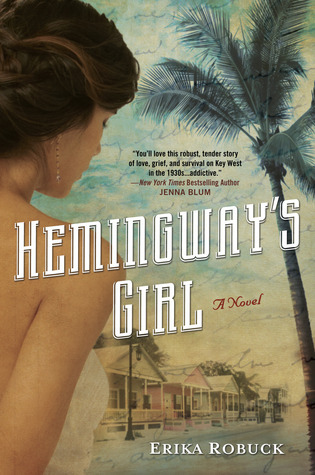 Her struggle to support her family following her father’s death leads to a bar and bordello, where she bets on a risky boxing match…and attracts the interest of two men: world-famous writer Ernest Hemingway and Gavin Murray, one of the WWI veterans who are laboring to build the Overseas Highway. When Mariella is hired as a maid by Hemingway’s second wife, Pauline, she enters a rarefield world of lavish celebrity-filled dinner parties and elaborate off-island excursions. As she becomes caught up in the tensions and excesses of the Hemingway household, the attentions of the larger-than-life writer become a dangerous temptation…even as reliable Gavin draws her back to what matters most. Will she cross an invisible line with the volatile Hemingway or find a wayto claim her own dreams? As a massive hurricane bears down on Key West, Mariella faces some harsh truths- and possibility of losing everything she loves. I like a good love triangle, don’t you? They might get a little dicey, but it doesn’t make it any less juicier. I’ve noticed that they always seem to be between the centre piece or in other words, the suspecting undecisive little chick-a-dee, that really nice loveable guy, and the problematic bad boy with a secret heart of gold. In this case, Erika Robuck tossed them all in a blender. The results were very interesting. Robuck begins the novel with an older Mariella and her son, Jake. Son, you say? Naturally, I had to use the detective skills that I don’t have to read on and figure out which other point of the triangle this Jake belonged to. Especially if our main character’s intense reaction at the news of Hemingway’s demise was anything to go by. Color me intrigued. The book reverts back to years earlier. Mariella’s relationship with her mother is strained at the death of her father. Her mother, Eva, still grieving at the loss and her two younger sisters who depend on her in more ways than one. Mariella doesn’t seem to get her own time to grieve, really. She’s got to be the strong one, trying to figure out how the family is going to pay of debts and put food on the table. Which is saddening, yet extremely admirable. Luckily, putting an almost stop on her bets at boxing matches, she swings a job working as the Hemingways’ maid. Now I usually have favourites in these things. Whether it be Gavin’s sweet caring nature. Or Hemingway’s unnecessary complicatedness. I found myself cheering for both contenders, though I suppose Hemingway having already been married was just too sleazy. And throughout the book, it seems to be the same thought ringing in Mariella’s mind when she considers the writer’s actions towards herself and others. Devastation erupts when she believes Gavin to be dead when the hurricane hits. I think even I might’ve cried. ((I cry over everything…) Thoooough when we discover that things aren’t exactly as they seem, it’s clear who Mariella’s choice was. Gavin and Hemingway are good sports throughout. I believe I mentioned the badboy with the heart of gold? This is me trying not to give the ending away. I think I failed. Erika Robuck did a terrific job. Hemingway’s Girl already has a nice & cozy spot on my shelf. Amazeballs.